This article ignores the veil of political correctness and challenges the fear of reprisal from those who are not willing to engage in one of the most important freedoms we have — free speech. Without the freedom to discuss openly political or religious subjects, we eliminate the possibility of resolving differences and finding optimum solutions. Silence and passiveness prevents open discussions whereby people can learn to understand their differences and come to realize there are better paths to living peaceful and fruitful lives. The conclusion presented in this article is that Allah is referred to in plural terms, which is conclusively found to be a party of religious men. Other articles will reveal that the Qur’an is the source of discontent in countries around the world and that Islamic religious leaders forcefully spread the religion of Islam in many countries. Their objective is to subjugate people around the world to become part of the Islamic community. A unified group of people referred to as the ummah, which is the totality of Muslims that constitute the Islamic world (Seyyed Hossein Nasr, ISLAM, Religion, History and Civilization, page 15). The Qur’an was read line-by-line, which enabled this author to draw verifiable conclusions. It was translated by the honorable Muhammad Zafrulla Khan who served as foreign minister of Pakistan in 1947, became the president of the 17th Session of the UN General Assembly, and later became judge of the International Court of Justice at the Hague, of which court he became president. This early translation of the Qur’an appeared in 1970 and was chosen as a reference to avoid the injection of political correctness employed in later translations by Islamic scholars. In Sura 3:105 (a chapter or section of the Qur’an) a party of men is explicitly identified and sanctioned to invite goodness, enjoin equity, and forbid evil. This author refers to this party of men as the We Party. They appear throughout the Qur’an under the plural terms, We, Our and Us. Islamic religious leaders construe We, Our and Us as being Allah, the all-forgiving and merciful God. In reality, they are a party of men, fanatical aggressors who are responsible for the destruction of many towns and the killing of innocent people in the name of Allah. Imams, caliphs and mullahs are insistent that We, Our and Us is the one God Allah. But the following suras (of many) clearly show it is the planned strategy of militants killing people while they are asleep at night or in the afternoon while at play. Sura 7:97-100. We afflicted them suddenly with chastisement, while they perceived not the cause thereof. If the people of those towns had believed and been righteous, We would surely have bestowed blessings upon them from heaven and earth, but they rejected the Prophets, so We seized them because of that which they did. Do the people of these towns now feel secure against the coming of Our punishment upon them by night while they are asleep? Or, do they feel secure against the coming of Our punishment upon them in the forenoon while they are at play? Do they feel secure against the design of Allah? None feels secure against the design of Allah, except those that are losers. The ruthlessness of fanatical Islamic terrorists, acting in the name of Allah, continues in many countries today. 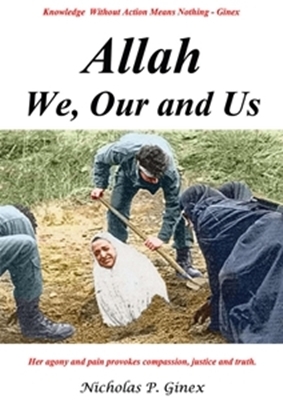 It is the Qur’an itself that is used as a medium of indoctrination to motivate Muslims to kill innocent men, women and children because they do not accept Allah as their God. Below, the conclusion that a party of men directs Muslims to perform abominable crimes is clearly verified in the Qur’an. It clearly reveals it is a religious leader of high rank that tells his army of men to draw on the wrath of Allah to kill disbelievers or hell shall be their abode. Qur’an Sura 8:16-19. O ye who believe, when you encounter an hostile force of the disbelievers, turn not your backs on them. Whoso turns his back on them on such an occasion, unless maneuvering for battle or turning to join another company, shall draw upon himself the wrath of Allah and hell shall be his abode. An evil resort it is. It is evident that the above sura was written by a commander as one reads of the strategy not to turn and run when encountering a hostile force unless it is necessary to maneuver for battle by turning and joining another company. But notice in the second paragraph that the commander uses his leadership to strengthen the resolve of his troops by stating “it was not you who slew them, but it was Allah who killed them.” Clearly, these are not the words of Allah but a commander or a powerful religious leader. It becomes apparent that a party of religious leaders are actively using the Qur’an to force the belief in Allah for the unification of Muslims and create a Theocratic Islamic Empire. Are imams, caliphs and mullahs around the world actively raising their voices to prohibit fanatic parties of men from shedding the blood of disbelievers? Or, are they indoctrinated, mesmerized, and entrenched in the dogma of the Qur’an whereby they are incapable of love, compassion, and forgiveness of those who follow another faith? We must all pause and acknowledge that God has introduced Himself to people of many cultures and nations. His only desire is that human beings love one another–this was His last command to mankind, announced three times by a man of God, which in all its simplicity is the Word of God. It is clear that although Judaic and Christian leaders of today recognize the folly of not implementing God’s last command given by Jesus in the Gospel of John, they have stopped killing and terrorizing nonbelievers in the name of God. Will Islamic religious leaders loudly proclaim today and tomorrow that there will be a halt to violence and terror and strongly impose the Word of God? It is hoped that tolerance, compassion, understanding, truthfulness, and love for our brothers and sisters will be acknowledged by Islamic religious leaders. For Islamic leaders to continue on their present path of destruction by indoctrinating naïve, unsuspecting, and loving Muslims to kill in the name of God will only lead to more disorder, terror, killing of human lives, and possibly a long-term pollution of our earth caused by a war that unleashes nuclear bombs. Intelligent, compassionate, and perceptive Islamic religious leaders must stop the insanity of terror and murder. Can they reach out to the religious leaders of the Judaic and Christian religions and together unify their beliefs and teach the Word of God? Such a challenge takes courage, intellect, and loving hearts of Judaic, Christian, and Islamic religious leaders. The question remains, are there religious leaders, representatives of God, that will loudly proclaim they insist on unifying their belief in God and teach His greatest command, love one another, our brothers and sisters around the world? This author believes that Muslims around the world who actively want peace to pressure their religious leaders to teach the Word of God. It may be the most practical solution to avoid WW III. Muslims who are educated perceive that the present path of Islam, directed by the words of the Qur’an, will lead to destruction of our earth and humanity.